1958 VINTAGE outfit Belle’s SNOOPY sister skater collectors peanuts shorts pink – $50. Find it on eBay (affiliate link). Belle is going out to the roller disco! This Belle outfit was produced by Determined Productions in 1980. They also made outfits for Woodstock, Spike and Snoopy. Belle’s outfits were made for dolls 10″ or 15″ tall. This one is 15″ tall based on the packaging and my guide says it was only made for the 15″ doll. Oddly, the item has a copyright of 1958, which is generally Snoopy’s copyright. Are the characters so similar a second copyright wasn’t need for Belle, but is needed for Joe Cool and the Flying Ace? Belle was introduced in 1976, so perhaps the copyright laws changed by then. How much is a Belle Plush Outfit worth? Value of Peanuts plush outfits has gone up, but I don’t think it’s skyrocketed to $50 an outfit. That’s more than I pay for an outfit for myself! (I’m cheap and I have a Kohl’s discount.) Generally, I’d probably pay around $10-20 for an outfit in its original package for Belle. Certain outfits I might be willing to pay a little more for depending on rarity, completing a set or just falling in love with an outfit. That might equate to an extra $5-10 for a particular outfit. What about Snoopy, Woodstock and Spike? They’d be right in line with this pricing structure, maybe a little more for Spike outfits. More Peanuts Plush Outfits to Explore! 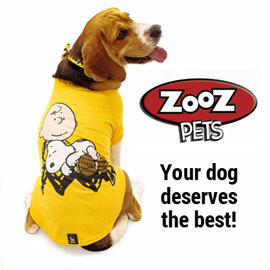 Shop our online store for related Peanuts Doll Outfits and help support this site. Plus, discover more Peanuts Plush Outfits in our online collection gallery.